This is a simple sensory activity to keep under 5s occupied. Children learn through different sense channels and this is a good one for those tactile learners. 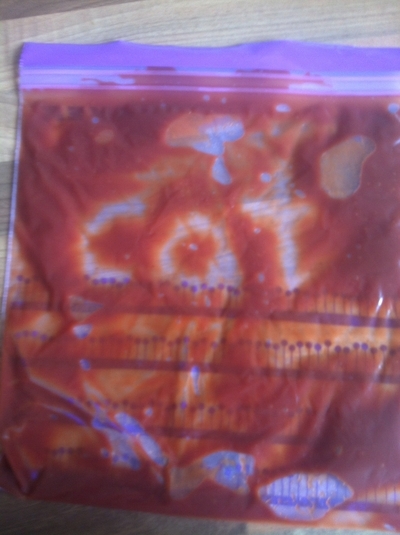 Great for toddlers to squish and experiment with tracing shapes and squiggles, preschoolers will also enjoy practicing their letters and numbers in the sauce and then watching it disappear for another turn. It is a really fast activity to set up which uses materials you probably already have in your pantry. It's a good one to set up if the kids are bored and you're getting a meal ready, because it's something you can make in the kitchen on the fly. 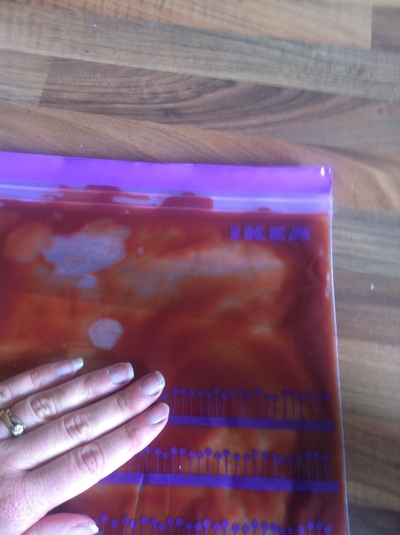 If you're worried about wasting food, you could always snip a corner of the zip lock bag and get the kids to squeeze some of the sauce onto their dinner once it's ready. 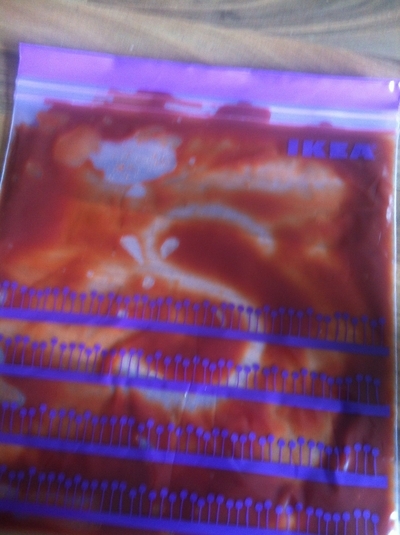 Open zip lock bag and squeeze a small amount of tomato sauce in. 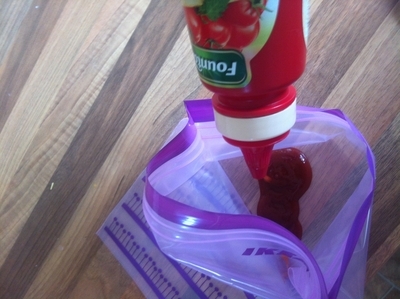 Then seal it up and flatten the sauce to distribute all the way through the bag. Now it is ready to play with. 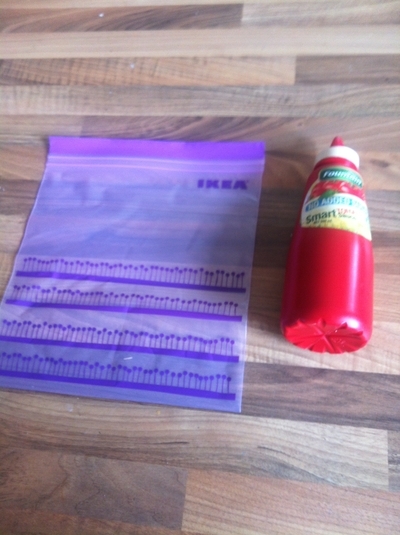 Younger kids can poke and squeeze the bag for a tactile experience, or you can show them how to make shape prints using a bottle cap or other similar object. Preschoolers can use it to practice writing letters and words or drawing simple pictures with. The best part is that they can rub it flat and use it over and over again.